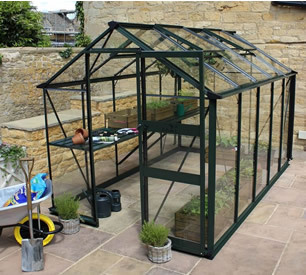 A superb range of exquisite Elite Greenhouses that have been manufactured with stability, strength and durability for long term service with minimum maintenance. The ALTON greenhouses range is a leading UK manufacturer with many years of top quality craftsmanship for Cedar Greenhouses. Eden is one of the UK's longest established greenhouse manufacturers, having an enviable reputation for value and quality. 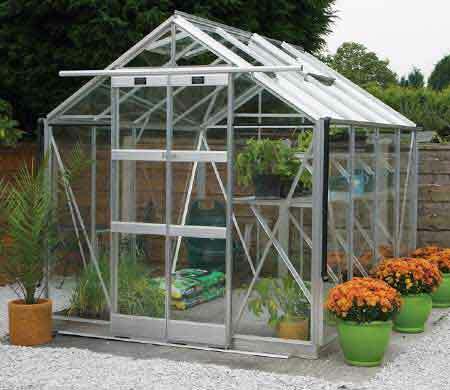 The Vitavia range of greenhouses has been developed by an expert team and are manufactured in the dedicated Vitavia factory, under strict quality guidelines. 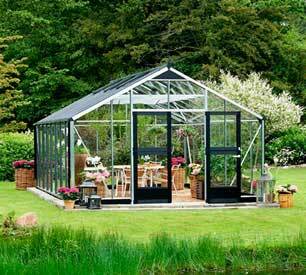 Juliana Greenhouses are made in a state of the art Greenhouse factory in Odense, in Denmark. and are some of the strongest Greenhouses available. Enjoy browsing through four 4ft+ options with a variety of lengths. Starting with the Elite streamline mini Greenhouse at 5ft 3” wide x 4ft 5” long to the same width at over 20ft long, you could be spoilt for choice. 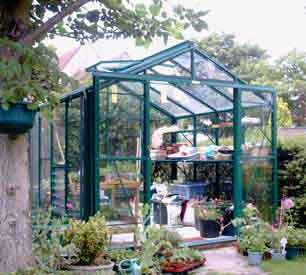 The traditional wood frame Alton Evolution 5 Greenhouse is also worthy of your attention. Finally Robinsons Regatta Greenhouses spanning from 5ft4” wide x 4ft 7” long are also available 12ft 8” long. Starting with the Elite Compact mini Greenhouse at 4ft 3” wide x 4ft 5” long to the same width at over 20ft long, you will be spoilt for choice. 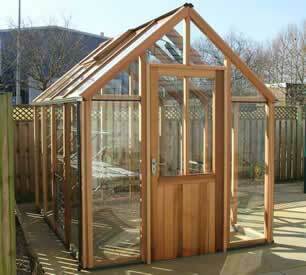 The cedar wood framed Alton Evolution 6 Greenhouse is definately worthy of your attention. The Robinsons Regent Greenhouses spanning from 6ft5” wide x 6ft 7” long is also available 12ft 8” long plus extensions. Starting with the Elite Vantage Greenhouse at 7ft 5” wide x 4ft 5” long to the same width at over 20ft long, the choice is enormous. 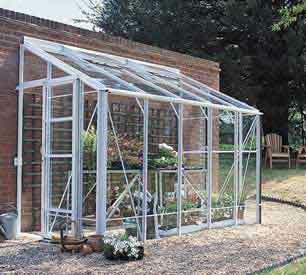 The traditional wood frame of the Alton Evolution Greenhouse is also worthy of your attention. 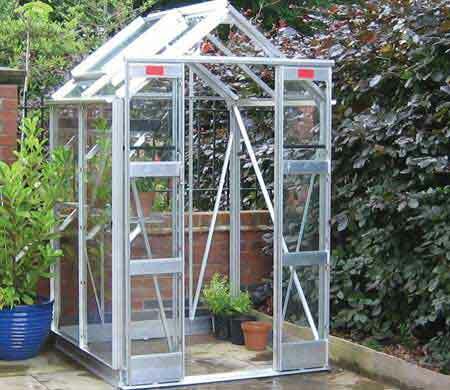 Also Robinsons Greenhouses spanning from 5ft4” wide x 4ft 7” long are also available in many other width and lengths. here are 31 Greenhouses in this category ranging from 8ft 5” wide up to a very generous 14ft 8” width. This category is all about serious gardening. 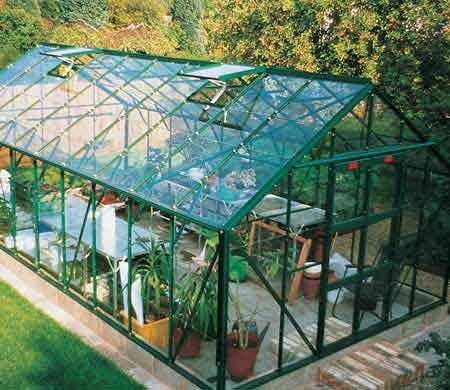 Perfect Greenhouses for the experienced gardener who wants to take full advantage of the many features that are available with greenhouses of this size. The largest Greenhouse available is 14ft 8” wide x almost 25ft long Made by Robinsons. If you only have a limited area to grow your plants and vegetable in, then one of our small greenhouses or frames would be ideal for you. The Elite Wall Garden is idea for a patio or small garden. 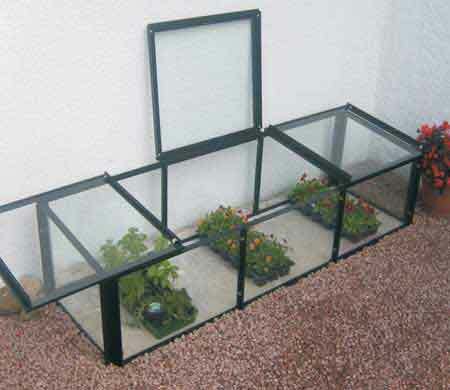 Cold frames come in different sizes and are ideal for hardening off plants you have been growing in the greenhouses and want to acclimatize them before setting them into the garden. Enjoy the benefits derived from these carefully engineered space-saving Lean To's. There is definitely one in this range that will fit neatly into any garden. Starting from a 2ft wide Lean to through to a 6ft wide with variable lengths. 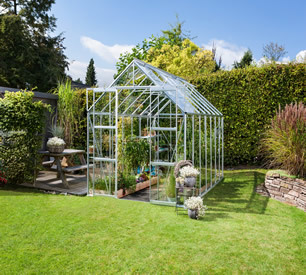 If you only have space for “half a Greenhouse” then why not purchase half a Greenhouse by feasting your eyes on these spectacular Lean To's. You will be amazed at the variety grown in these space-saving constructions. Whilst widths vary from as little as 2ft you could run one of these along the side of your property and still have the growing area of more than one self standing greenhouse without having to use up any of your central garden area that you could keep for ornamental and leisure purposes. Elite, Alton & Robinsons offer great examples. With a depth of just over 2ft, Elite Greenhouse manufacturers lead the field with this well constructed top quality Elite Easy Grow Lean-to mini greenhouse. of having a mini growing section full of lovely small flowers or herbs for your delight. Elite have two prime examples in the 4ft width category. The Elite Windsor and the Elite Kensington. The Elite Windsor offers lengths to over 20ft with a ridge height of 6ft 72 -ideal to attach to garages or sheds. The Elite Windsor has a ridge height of 7ft. 11” for attachment to the side of your property. A unique service of making this particular Lean-to to any length. 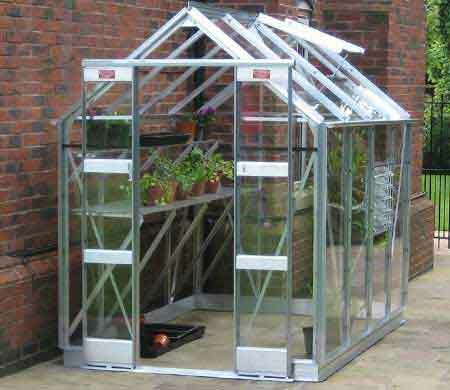 Elite have examples in their 4ft width lean-to greenhouses in this category. The Elite Windsor lean-to and the Elite Kensington lean to. The Windsor offers a variety of lengths to over 20ft with a ridge height of 6ft 72 - these greenhouses are ideal to attach onto garages or sheds. The Elite Windsor lean-to has a ridge height of 7ft. 11” for and can be attached to the side of your house. 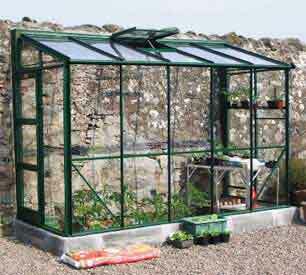 For sheer excellent value for a very well constructed greenhouse for the discerning gardener. 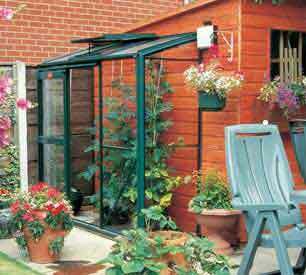 Also in this range we bring to your attention two greenhouses from the Robinsons range, the wide lean-to, beautifully engineered and the dwarfed wall version, both at very modest prices. Lean-to that sports a 7ft width. Available to lengths to over 20ft this Lean-to is a sure winner. The Elite Kensington coming in at 6ft5” provides superb value at only £421 for a 6ft 5” length. Finally Robinsons come into their own with their wide 6ft 4” Lean-to with lengths to over 12ft. The R - types have a modification facility that allows for the removal of the rear frame. Once removed your R-Type can then be positioned and become an integral part of a building. 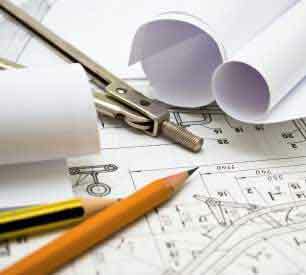 In effect you have a Lean-to that looks just the same as a full Greenhouse attached to your property or Garage or Shed. Here we have put the spotlight on a number of important areas of information which we hope you will find useful. Our choice of Greenhouse manufacturers has been initiated by some of the different types of accessories that are available but not readily seen elsewhere. You will find some insight into how meticulous the manufacturing process is with a zero tolerance when it comes to quality of workmanship and finish. 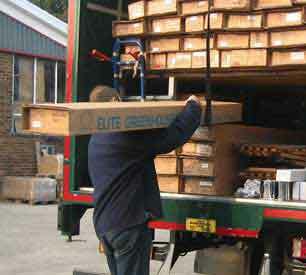 Elite are renowned for their supplies of Glazing materials. 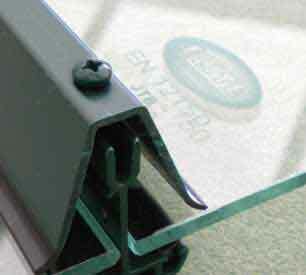 Starting with the Glazing itself, Elite supply PVC strips available in 2ft lengths that are designed to fit one piece of glazing on top of another butted together. Nuts and Bolts, Neoprene beading, Greenhouse Mastic beading, Silicon sealant, Draft excluders and roof spacers are always readily available for any maintenance requirements. ensuring superb stability as well as leak-proof joints in the roofing area. Bar Capping is available in six different colors. Powder coating is a type of coating that is applied as a free-flowing, dry powder. The powder coating does not require a solvent to keep the binder and filler parts in a liquid suspension form. The coating is generally applied electrostatically and is then cured under heat to allow it to flow and form a "skin". The powder may be a thermoplastic or a thermoset polymer. It is usually used to create a hard finish that is tougher than conventional paint. Elite offers an aluminium base option that enables direct fixture into grass, concrete or slabs. Other additional options include low threshold fixtures that enable easy wheelbarrow or wheelchair access. It is always important to ensure you have good even level ground preparation before you introduce any method of base construction. 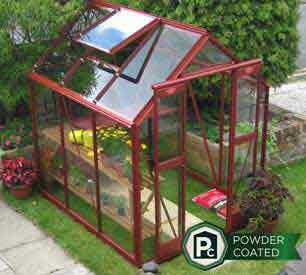 Our recommended manufacturers will deliver your greenhouse or Lean-to direct from their factory. In most cases the prices include delivery to any main UK address with just a few postcode exceptions. These exceptions are listed under our Technical Information tab under “Deliveries” on the home page. 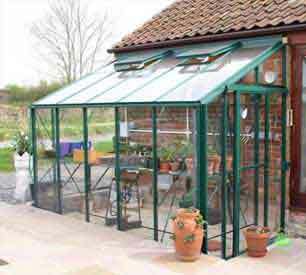 It is often very helpful to have to hand some installation guidance when you purchase your greenhouse or Lean-to. 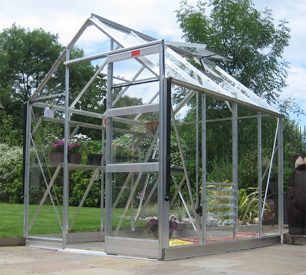 By going to the Technical Information tab on our home page, you will find that Alton has got a comprehensive installation guide for you to follow to ensure a successfully constructed Greenhouse. Please take a look at the other subheadings under the Technical Information tab as you will find other information that will answer many of the popular questions or queries that often pop up. Gardening may always be a natural pleasure for those who have an in depth gardening knowledge and experience. However, there are other very important factors that, if not addressed, can easily frustrate the very best of Gardeners. If you happen to be new at Gardening you will want to be involved in a pastime that is not only going to give you many years of pleasure but also to be part of an easy, user friendly growing process that is not going to be unnecessarily demanding either physically or mentally. As a seasoned gardener for pleasure or for commercial reasons you will be expecting best results from your initial investment. (1) to obtain maximum success from the early stages of seed sewing and propagation. (2) to have a greenhouse adaptable enough to ensure maximum yield throughout the growing period. (3) To feel safe in the knowledge that your Greenhouse is stable and secure to withstand any extreme weather conditions. You may say “Surely a Greenhouse is just a Greenhouse. At Greenhouses-Uk you will soon find out how adaptable, user friendly and sturdy our Greenhouses are. (1) Adapting to your garden. 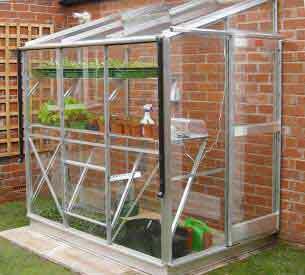 No matter how large or small your growing area is, you will be looking for a Greenhouse that fits the designated section of your garden. You will see from our full range a comprehensive selection of self-standing Greenhouses of various dimensions together with another superb choice of sizes from a variety of lean-to Greenhouses. (2) Adapting to your growing cycle Some of the features within the Greenhouses have been designed to save you time and space during the growing period. (a) Adjustable growing benches that you can move as you grow. 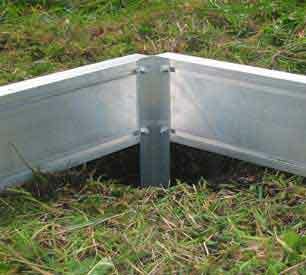 (b) Extra height for those tall vegetable plants such as tomatoes and cucumbers. Much time and effort is put into the early stages of growing your produce and you do not want all your hard efforts going to waste by flimsy low quality greenhouses that may look good in a Magazine, only to find that upon receipt they just do not feel good. Greenhouses-UK can put your mind at rest, having researched very carefully and subsequently selected only the highest quality manufactured Greenhouses that the UK. With over 40 years of experience Greenhouses-UK are one of the few highly respected organisations in the growing industry that insist in only the best for their customers. The structure of every single Greenhouse shown is beyond the expected BS and Euro specified standards. 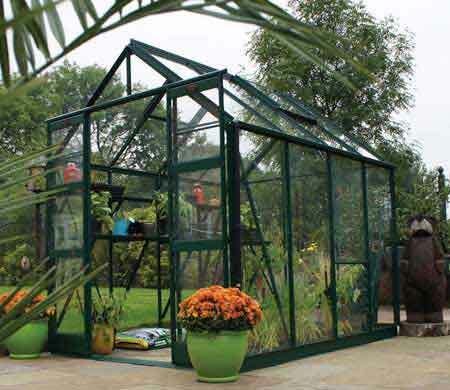 Greenhouses-UK is proud to be one of the leading UK distributors of only the top quality manufacturers of Greenhouses. As far as Greenhouses-UK is concerned any manufacturer of Greenhouses has to tick all the boxes that are needed to satisfy the high quality products that are expected by our customers. Greenhouses-UK, headed by Roy Hardiment and his team, who has been established for over 40 years, goes beyond the normal customer expectations of today. You can therefore be assured of receiving only the very best in Greenhouse guidance and Customer care. Over the last 12 months intensive research into modern manufacturing skills and technology has produced for 2015 onwards some very exciting features designed to give you, the Gardener, a much improved way of gardening pleasure where you will enjoy a much easier gardening experience. The range has been extended to provide greater opportunities for the gardener who, on one side of the spectrum is a little tight for space to the gardener who has got a substantial area for propagation. Dimensions now start from 1.2m (4ft) wide to over 4.26m(14ft) wide for self-standing Greenhouses. The Lean-to range has also been extended. Starting from (0.6m) 2ft wide to 2.44m (8ft). Also please take a look at the new featured Greenhouses; the Small greenhouses and The R-type greenhouse. Internal Features Besides the extra strong aluminium structure designed to withstand heavy storms that would destroy most other Greenhouses, there are some excellent features that are worth noting. Look out for the partition options that are available in some of the larger greenhouses. Here you could effectively grow different species requiring different requirements or temperature etc. In effect two separate Greenhouses in one. 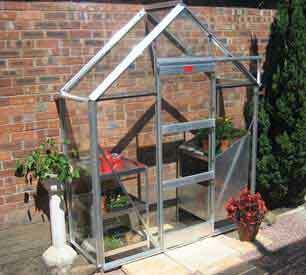 Gardening can be made easily available for disabled people if you have a wheelchair friendly greenhouse. This feature also goes hand in hand with the threshold being at ground level for the easy use of wheelbarrows. Easily adjustable propagating benches designed for easy movement as you stagger your growth of produce. Less time taken into having to shift around heavy pots or grow-bags etc. causing unnecessary back-breaking activity. One of the standard features is an automatic vent opener that adjusts according to the changes of the outside temperature. This feature is available as “an optional extra” with much of the competition. 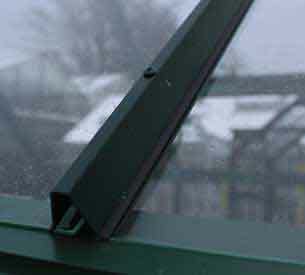 The glazing is an area that is often skimped by lower grade manufactured greenhouses. Here we have minimum 4mm top grade toughened safety glass to the highest BS and EU standards as an inclusive part of the range. Greenhouses-UK have never professed to be the cheapest, although they are very competitive, but if you are looking for a Greenhouse to give you many years of maintenance free service, a greenhouse that gives you a ten year guarantee of top grade craftsmanship of quality products and a greenhouse that will arguably outlast most other greenhouses, you will appreciate that such excellent value for money wins time and time again against the alternative cheap quick-fix.